Let your ideas serve as inspiration for transforming that boring outdoor space into a cozy Outdoor Room. The "Lancaster" Outdoor Fire Pit is entirely customized, with the style and color of the tiles and stones picked by the homeowner. Searching for a specific look for your outdoor space? 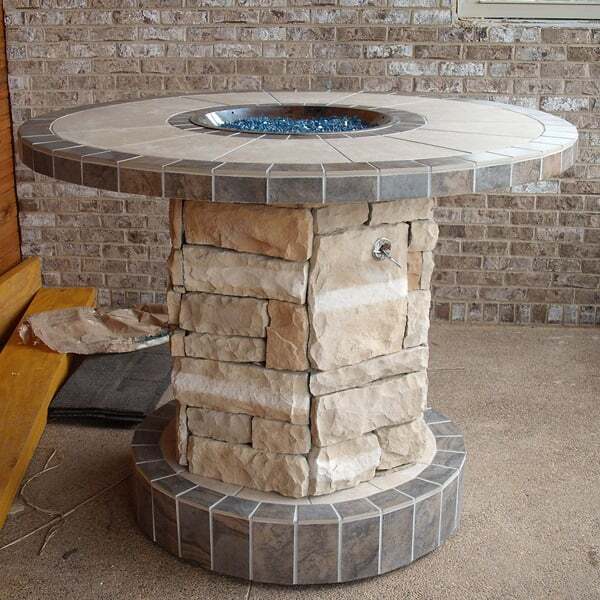 There are many tile and stone choices, so we promise you can build a fire pit to match your home's exterior. A Fire Pit on your porch or patio gives you an exotic central focal point during the summer, and a place to warm up during the winter months. Let your imagination run wild with the custom "Lancaster" Outdoor Fire Pit Project by Leisure Select! Contact us today!